Boston Celtics star Kyrie Irving reportedly called ex-Cleveland Cavaliers teammate and now Los Angeles Lakers star LeBron James after his team lost to the Orlando Magic, and, for some reason, the Cavs’ Kevin Love was there to witness it, according to Joe Vardon of The Athletic. Love and James met in LA, following the game between the Cavs and the Lakers. They were having a good time in an undisclosed location when James received the call from Irving. Earlier, Kyrie Irving revealed that he indeed called James to apologize for his actions that led to the eventual disbandment of the Cavs’ Big Three. Irving, James, and Love were part of the Cavs team that won a title in 2016. A team that was primed for years of success, before the All-Star point guard decided to demand a trade. Kyrie Irving was later dealt to the Celtics. LeBron James left a year later to join the Lakers. 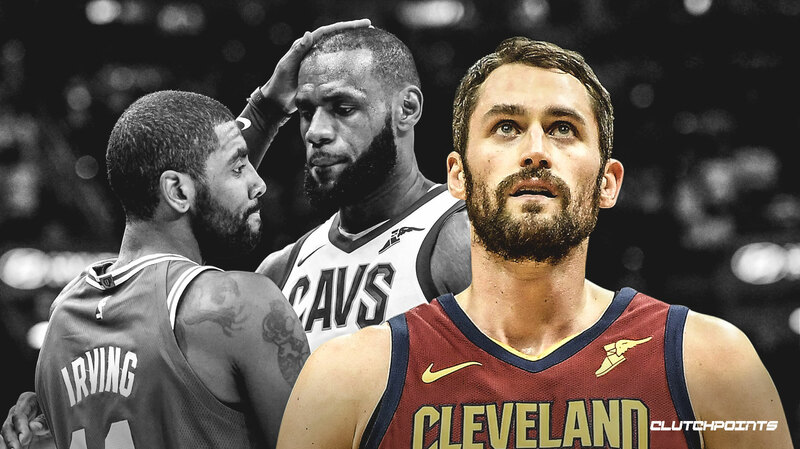 Kevin Love is the only one left with the Cavs. They may be suiting up for different teams, but all of them are in a familiar situation. The Lakers, Celtics, and Cavaliers have had their fair share of struggles this season. Three years ago, they had each other to try to figure it out. Now, they have to do it, each on their own.